Custom Lobby Displays | This was an interior reception display in brushed aluminum and painted aluminum. 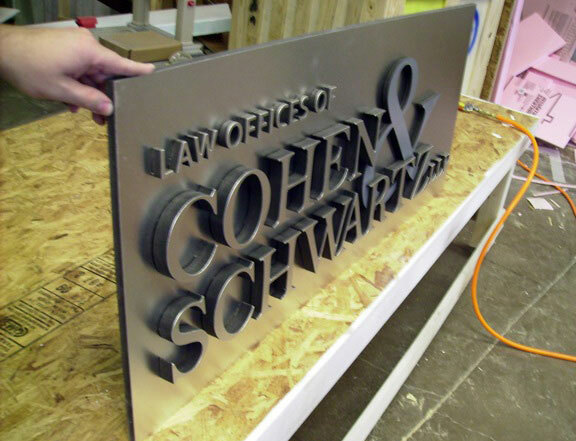 This was an interior reception display in brushed aluminum and painted aluminum. Designs by Mouse Design Studio. All visual representations and designs are the intellectual property of Mouse Design Studio and protected under copyright law. Any duplication of this design or any element is in direct violation of that law and will result in legal action.